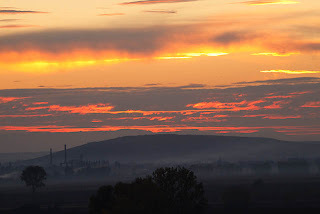 Tokaj is a small town in northeastern Hungary. 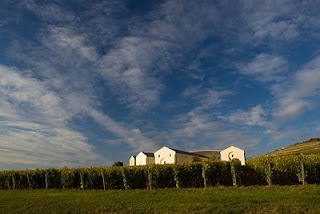 Part of the famous Tokaj-Hegyalja wine region, it has been declared a UNESCO World Heritage site. Its fame? The Tokaji Aszú wine. The Tokaji wines are sweet wines, with a measurement of sweetness (sugar content) that ranges from 3 puttonyos to 6 puttonyos. Those above 5 puttonyos will be classified as Aszú-Eszencia, which is also known as nectar! 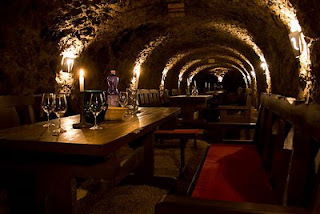 A visit to the wine cellars for wine tasting is thus not to be missed if you have a chance to travel to this region!! And the wine tasting is done in the cellars! The vast underground wine cellars are also quite an eye-opener. Rows and rows of barrels and bottles line the passageways. The cellars are covered with a special mold, which feeds off the alcohol evaporated during aging process. 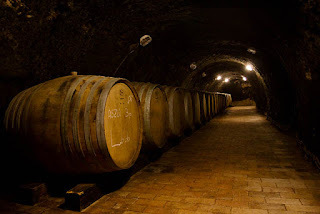 The underground system also keeps the place at a constant cool temperature, and all these constitute the special conditions that is ideal for making tokaji wine. The vineyards are situated in beautiful country, and is extremely pictureque during sunset. So, check out this part of Hungary!